UNESCO-Encyclopedia of Life Support Systems(EOLSS) recognize the importance of protecting the information it collects in the operation of EOLSS-Online and will take all reasonable steps to maintain security, integrity and privacy of this information. 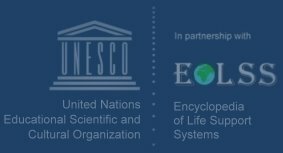 UNESCO-Encyclopedia of Life Support Systems(EOLSS) will ensure that any information it collects will be adequate, relevant and not excessive for the purposes of operating EOLSS-Online; it will be kept accurate and up-to-date based on information provided and will be deleted when no longer needed. Except where necessary in connection with services provided by appropriate intermediaries, who will be required to comply with the confidentiality provisions of this policy, UNESCO-Encyclopedia of Life Support Systems(EOLSS) will not disclose any personal information identifying Authorized Users or the licensee to any third party, unless required by law or to enforce the Terms and Conditions. Certain personal information may be collected when you contact us with questions or offer feedback on the EOLSS-Online site. We may use "cookies" to identify you and your access on the EOLSS-Online Site as well as recording usage of the EOLSS-Online Site. A cookie is a piece of information that is sent to your Web browser from a Website and stored on your computer's hard drive. Each time you return to the EOLSS-Online Site, we are able to identify you as a previous or registered visitor. Cookies also enable the traffic to the EOLSS-Online Site to be measured, including the number of user revisits versus new visitors, the time users spend on the Site, and their navigation behavior. Information that we collect may be used: to contact you if follow-up communications are necessary, to notify you of services and offers, improve the EOLSS-Online Site, for development of new products and services, for systems administration and troubleshooting purposes.